Vantage FX announced this month the addition of Bitcoin cryptocurrency to their MetaTrader 4 trading platform. In doing so, they have become the latest Australian regulated foreign exchange broker to add cryptocurrency trading to their clients. We do realise this is the third post in a row we have done on cryptocurrencies. this is is a sign of increasing interest and popularity of the Crypto markets. However, we always aim to bring the latest news and offerings from the brokers listed at Online Brokers Australia, and hence why the last few posts have focused on the Bitcoin market. Many traders are turning to Bitcoin trading through a licensed Forex broker, rather than opening an actual bitcoin account. This is because the actual cryptocurrency account opening process, and executing a trade through 1 of the huge selection of cryptocurrencies exchanges can be difficult to understand and very time consuming. By choosing to trade Bitcoin with Vantage FX broker, you do not have to open a separate bitcoin account and can view bitcoin prices direct on the Vantage FX charts (rather than needing 3rd party charts). Simply fund your MT4 trading account and trade Bitcoin easily in one account with currency pairs, global indices or commodities markets. 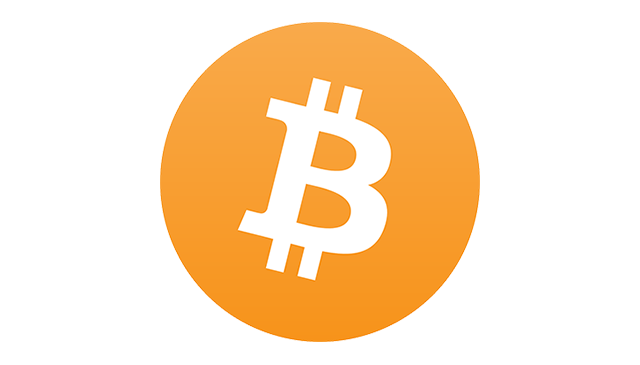 By trading the Bitcoin CFD BTC/USD means that the trader will not be able to take delivery of the bitcoins, unlike in a Bitcoin exchange where they are delivered to the trader’s wallet. Vantage FX bitcoin traders are able to go long, as well as short on the cryptocurrency pair BTC/USD. This means traders are not constrained in their bitcoin trading to only buy and hold trading strategies. 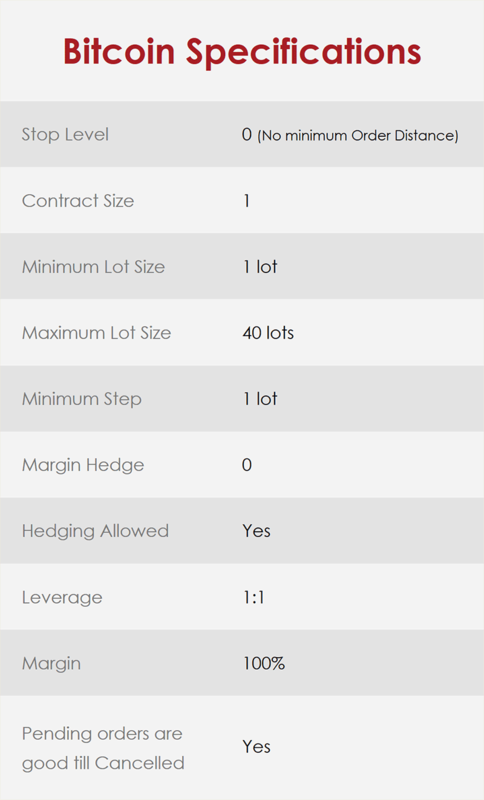 The BTCUSD (Bitcoin CFD) leverage is initially set at 1:1. The 1:1 leverage is also by design. David Billy from Vantage FX confirmed as a risk averse foreign exchange broker, VantageFX puts the safety of clients funds, as well as the company, at the forefront of everything they do. Crypto markets are extremely volatile and so it is a conscious decision of theirs not to offer high leverage on Bitcoin. As always, we applaud brokerage firms that put the security of the brokerage firm and their client funds at the forefront of all decisions! In offering Bitcoin (Bitcoin to USD), Vantage FX joins Pepperstone, AvaTrade, Plus500 and others offering Bitcoin trading to Australian traders. Read our full Vantage FX review for all ECN / STP and DMA CFDs offered by this Australian regulated broker. See our cryptocurrency broker comparison table for more information. Online Brokers Australia is a stock, CFD & Forex broker comparison, and reviews company. We only list ASIC regulated brokers. Please see our "About" page to learn more. Copyright © 2014-2019 Online Brokers Australia | All rights reserved. Online Brokers Australia is an information service covering a variety of brokers and products for trading online. By browsing this web site and / or using our help or search tools, you're asking Online Brokers Australia to supply you with information about products available from multiple brokerage firms or financial institutions. We however do not cover every online broker or trading platform available in the market. Every attempt is made to ensure information published is correct and up to date, however no guarantee or warranty is given as to its accuracy or reliability. When clicking on an "Open Live Account" button, you will have an opportunity to review the product's terms & conditions on the provider or brokers web site. The broker rating displayed is only one factor to take into account when considering these products. We are not a brokerage firm, and in providing you information about brokers and online trading products, are not making any suggestions or recommendation to you about a particular firm, product or trading account. Online Brokers Australia may receive a commission, referral fee or payment from a provider when you click on a link to their brokerage firm. All reviews are conducted independently. The online brokers, products and services included on this website may not suit your financial situation, personal objectives or needs. It is therefore important you consider if it is appropriate for your personal circumstances before making any investment decision, or apply for an online trading account. We strongly recommend you seek independent accredited financial advice before acting upon any information published on this website, or on 3rd party sites you may have visited by clicking links published on Online Brokers Australia comparison site. The use of the terms "Best", "Featured", "Popular" or "Recommended" are not product ratings, & are always subject to our Terms & Conditions. If you are considering acquiring any of the financial products listed on this web site, you should always read the Product Disclosure Statement (PDS) and other offer document/s before making any investment decisions.